The USA Ramadan Calendar 2018 will help the Muslim community living in the USA to know the exact dates of Ramadan. Ramadan is the ninth Islamic month of Muslims. During the month of Ramadan (رمضان), Muslims do fasting for the whole day to gain the blessings of Almighty Allah. In Ramadan, there is a certain Ramadan dua for every Ashra. Fasting during the month of Ramadan is one of the pillars of the Islam. Muslims are instructed to refrain from eating and drinking. And also refrain them from all the evil or bad deeds or sins during the month of Ramadan. Ramadan Calendar is different for every single city. Follow the USA Ramadan Calendar 2018 for top cities. About 3.3 million of Muslims are living in the USA. They celebrate all their religious festivals and traditions in different states of the USA. 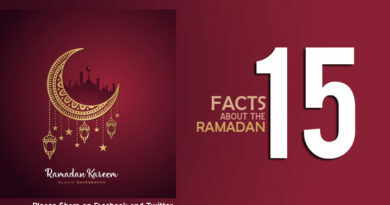 Ramadan is also one of the most significant months for the Muslims. Muslims celebrate this month in the USA with great religious spirits every year. Muslims celebrate Ramadan in USA in the month of May. According to the prediction 2018, Ramadan date in the USA will be 17 May. But the exact date will be confirmed after sighting the Moon at the end of the eighth Islamic month of Shaaban. A large number of Muslims are living in the New York City (NYC) of the United States. The most populated city NYC of the USA has about 3.8% Muslim population. Muslims live in this city also celebrate this month as their religious month. They offer extra prayers during this month. Muslim celebrate Ramadan 2018 in New York in the month of May. However, USA Ramadan Calendar 2018 will tell you about the accurate timings of Sehri and Iftar during Ramadan in the USA. It will also tell you the exact dates of Ramadan in the USA. The Ramadan is the month of Blessings for the entire Muslim community. Muslims living around the world celebrate this religious month, according to the teachings of the Islam. It is the religious obligation of every adult Muslim. However, USA Ramadan Calendar 2018 will help you to find the accurate dates and timings of every fast during the month of Ramadan.